The local government funding settlement, announced by the Welsh Government yesterday, poses serious challenges to public services in Ceredigion. 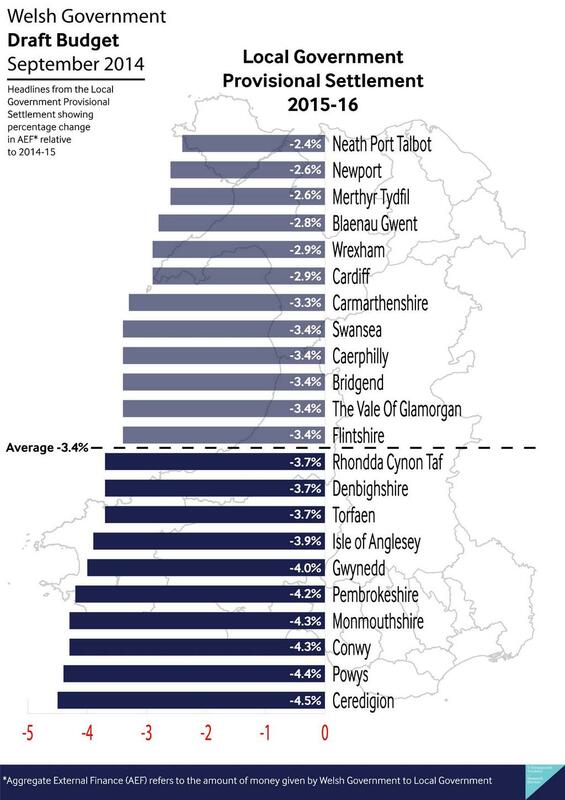 Having faced a funding cut of 4.5% this year, Ceredigion will now have to cope with a further 4.5% reduction for 2015-16, the severest cut of any local authority in Wales. We know that the cuts come mainly as a result of the reduction in the money coming to Wales from Westminster, and the refusal of the current Westminster government to countenance a fairer settlement for Wales in the wake of promises made during the Scottish referendum. But it’s important to ensure that the Welsh Government operates fairly in deciding how much each local authority should receive. There are particular challenges with providing services in a rural area, and this is an issue I will continue to press. There’s a risk that these cuts will be a brutal blow to our local public services. Very difficult choices will have to be made. This budget, supported by the Labour Government and the Liberal Democrats, is a huge challenge for Ceredigion.